Looking for a Schiphol Airport lounge? 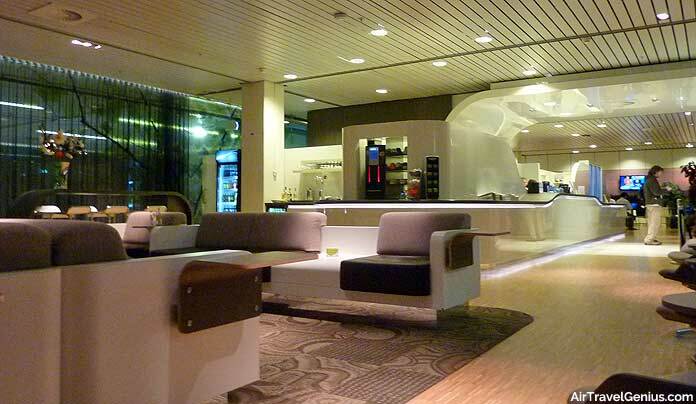 In this guide we will review every airport lounge available at Amsterdam Schiphol airport. 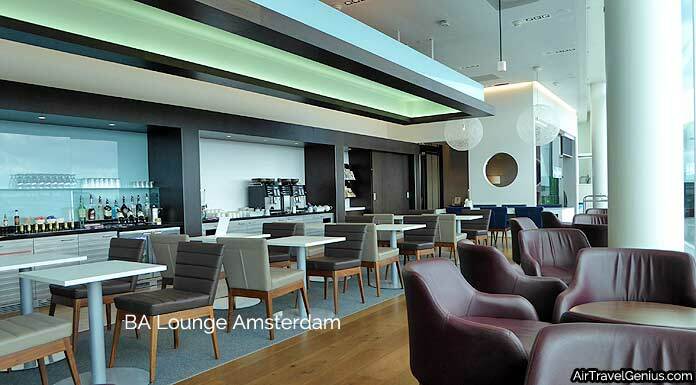 There are currently 8 Amsterdam airport lounges plus a private VIP lounge facility and an international rail lounge. We will also overview all shower facilities to be found at Amsterdam Schiphol. Note that Schiphol has a slightly confusing number notation system when it comes to lounges. “Lounge 1/2/3/4” actually refers to each of the 4 main public departure lounge areas. The airline lounges have a dedicated (and seemingly random) number assigned to them – such as 25, 26, 40, 41 and 52! See the official Schiphol site for terminal maps. Amsterdam Schiphol (IATA code: AMS) is located in the Netherlands and is a major European airport hub. Swissport runs 2 ‘Aspire’ branded lounges at Amsterdam Schiphol. There is Lounge 41 (non-Schengen, main picture at the top of page) which is found on the second upper level of the Lounge 2 departure area near the E Gates. Lounge 26 (Schengen, pictured below) is on the upper level between Lounges 1 and 2, near the D gates. Both lounges offer seating and business areas plus drinks and light snacks. Lounge 41 also has shower facilities for an extra fee (€20). Lounges can get very busy at peak hours. Opening hours are 0600-2330 (41) and 0530-2130 (26) daily. • Priority Pass/Diners Club holders. • Elite or business/first class passengers of Aeroflot/Aer Lingus/Air Astana/Air Baltic/Air Lituanica/Air Malta/Air Serbia/American Airlines/Arke/Bulgaria Air/Croatia Airlines/Egyptair/El Al/Emirates/Estonian Air/Etihad/EVA Air/Finnair/Flybe/Garuda/Icelandair/Iran Air/Malaysia Airlines/Qatar Airways/Royal Air Maroc/Royal Jordanian/Singapore Airlines/Surinam Airways/Turkish Airlines/Ukraine International/United Airlines. • Note, Star Alliance has its own lounge in the Schengen area (see below). However, the Star Alliance airlines for non-Schengen departures use lounge 41 – Singapore Airlines has a separated section within that lounge. • ABN Amro Preferred Banking clients – since ABN Amro closed its own basic lounge available to Preferred Banking clients, its customers are directed to use the Aspire Lounge 41. 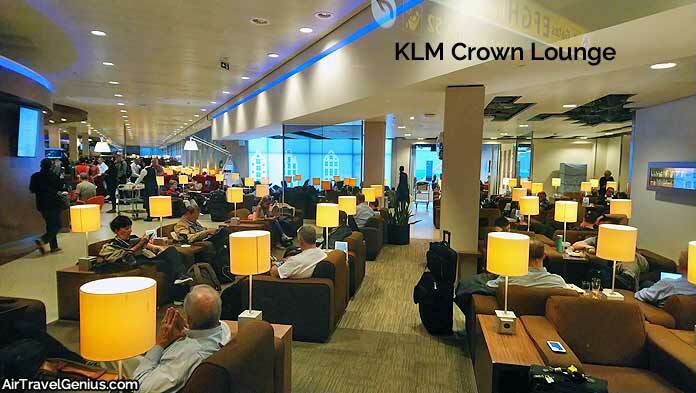 KLM has 2 large flagship lounges at Amsterdam Schiphol. Lounge 25 (Schengen) is a 2,400m² lounge space on the upper level between Lounge 1 and 2, near the D gates. Intercontinental Lounge 52 (non-Schengen, pictured below) is on the upper floor of Lounge 3, near the F gates. Facilities include zones set up for work, relaxation, food & drink, entertainment and fine dining. Showers are also available. Renovations are ongoing until summer 2019 to expand and improve the facility. The first part of the new non-Schengen Crown Lounge opened in December 2018 and includes a boarding-pass scanner self-service entrance. The finished lounge will be 6,800m² and have seating for 1,500. The lounges are open daily 0445 until last KLM departure. • Air France/KLM/Delta/Skyteam business and first class passengers. Note, any arrival passengers technically need a ‘same-day’ ticket. • Flying Blue Platinum/Gold and SkyTeam Elite Plus on Skyteam operated flight (+1 guest); Flying Blue Silver on payment of a fee (no guests). • Delta SkyClub member on Skyteam flight. For more info on airline club memberships see our ultimate lounge access guide. • Air France-KLM Petroleum Club on overnight transfer only for Skyteam flight on designated oil route. /Czech Airlines/Delta Air Lines/Garuda/Kenya Airways/Korean Air/TAROM. 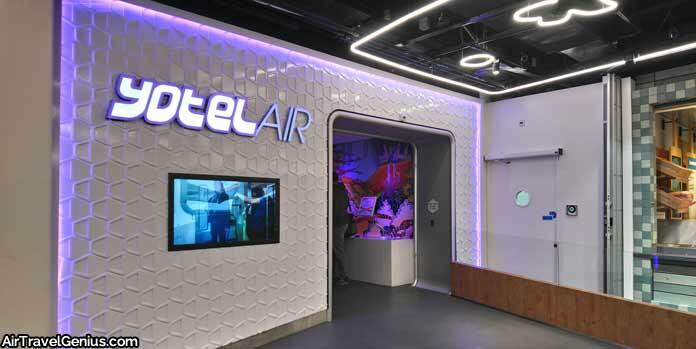 This Star Alliance-branded lounge was opened in March 2019 and is operated by Aspire/Swissport. The lounge is located in the European Schengen Area departures area. The lounge has an elegant, contemporary feel and seats 150 guests. Facilities includes dining area (with hot/cold buffet options), wine bar and draught beer, business area with individual work booths, luggage storage area, newspapers/magazines and a relaxation area. There are no shower facilities. • Star Alliance first and business class passengers. Star Alliance airlines at Amsterdam departing to Schengen Area destinations are Adria Airways, Aegean Airlines, Austrian Airlines, LOT Polish Airlines, Lufthansa, SAS, Swiss and TAP Air Portugal. • Star Alliance Gold members. • Air Canada Maple Leaf Club (Worldwide membership) and United Club members. Flying to a destination outside the Schengen Area with one of the other Star Alliance airlines? You can still use this lounge but would need to go through passport control to enter the non-Schengen departures area of the airport. It is recommended to allow more time than usual if you wish to visit this lounge instead of the Aspire Lounge 41. The Star Alliance lounge is located on the upper level in Departures 2 (Schengen) adjacent to Aspire Lounge 26. Open 0530-2130 (daily). 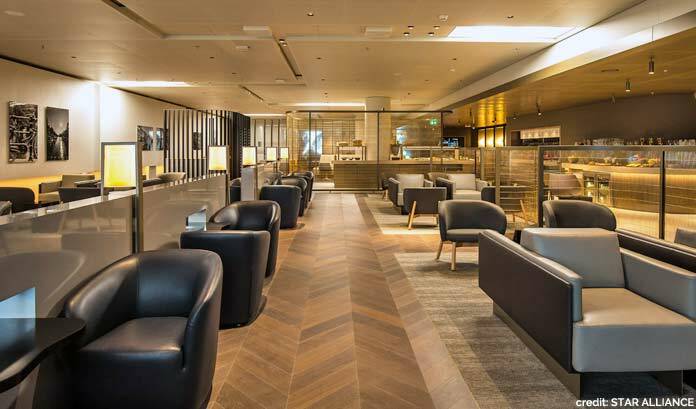 BA has a Galleries-style lounge located at Lounge 40 (adjacent to Aspire Lounge 41) on the second upper level of Lounge 2, near the E gates for non-Schengen departures. The lounge features a bar (drinks/light snacks available) plus an elegant seating area, workspaces and views of the apron. There are no shower facilities. Open 0530-2130 (Mon-Fri), 0600-2030 (Sat/Sun). • British Airways Club and First passengers. • Cathay Pacific business and first class passengers. • British Airways Silver/Gold/Premier and Oneworld Emerald/Sapphire passengers on a Oneworld flight. Privium is a membership card program run by Schiphol airport which allows members to cross the Dutch border control using an iris scan machine. The stylish Privium ClubLounge is a 600m² facility located between Departure Halls 1 and 2 near check-in desk row 9. It offers drinks, light meals, comfortable seating and an office area. There are no shower facilities and no windows. The lounge is open 0530-2100 weekdays and 0600-2100 weekends. Privium Airside Lounge – Privium also has a small lounge past security on Holland Boulevard near pier E (non-Schengen zone). At 350m², it features seating for 54 passengers, food and drink offerings, free WiFi and has decor of North Sea beach scenes. The Privium Airside lounge can also be used as an arrivals lounge by members with a valid arriving boarding pass. This lounge has provisional status and the area may be renovated in the future. Open 0600-2100 daily. • Privium is open to nationals from the European Economic Area (EEA) and Switzerland. • Privium Plus membership costs €215 per year and gives access to the Privium Lounges. A Privium Plus partner card is €85 per year whilst guest vouchers are €30 per person. • Note, the Privium Basic membership (€130 per year) does not include lounge access. Amsterdam Schiphol airport offers a tailored service for VIP groups of up to 20 passengers. This includes separate security, baggage check-in and transfer to aircraft by luxury vehicle. Access is granted to one of 7 private lounges at the Schiphol VIP Centre, located at Arrivals 4, beyond Starbucks towards the Excellence Parking. Contemporary styled lounges offer food and drinks. • Access is available to any passengers – departing, transferring or arriving – willing to pay for the service. Costs are not cheap – for departing/arriving passengers it is €315 (1st passenger) plus €125 (per additional passenger). For transfer passengers it is €445 (1st passenger) plus €185 (per additional passenger). All rates exclude Dutch VAT. Not an airline lounge, this is the NS International lounge for first class rail passengers and Railteam elite members. It is located at Schiphol Plaza Arrivals 4 area, next to the HEMA shop. The lounge has a stylish seating area, a workspace and offers various drinks. No food is served. There is a bathroom but no shower facilities. Open Monday to Friday 0800-2000, weekends and public holidays 1000-1800. There are meeting rooms available for hire from Regus Express. • Lounge access is for first class international rail passengers (Eurostar/Thalys/Intercity Brussels). 1 guest is permitted. • Railteam elite card holders. Aspire non-Schengen Lounge 41, shower costs €20, towels provided (plus you need to have access to the lounge). Free shower in one of the toilets at non-Schengen departures, upstairs near the airline lounges. Bring your own soap and towels. 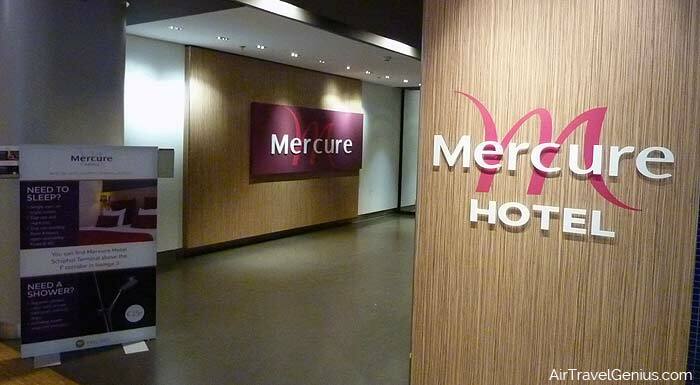 Mercure Hotel Schiphol Terminal, located at Lounge 3 (upper level) near the F gates (non-Schengen departures) and opposite the KLM intercontinental Crown lounge. It charges €15 for a shower including towels and soap. Alternatively book one of the rooms there. Open 24 hours. 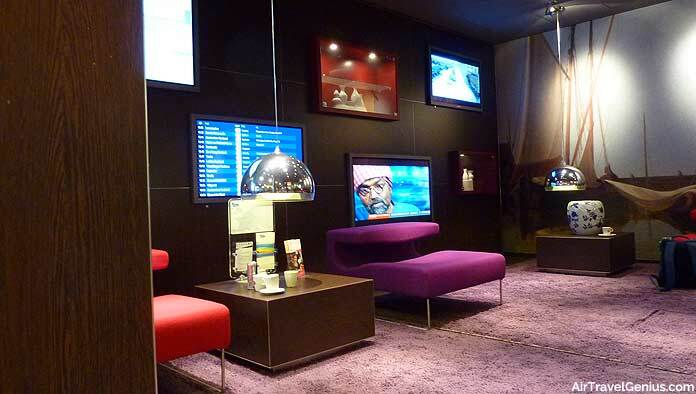 YOTELAIR Schiphol (Lounge 2 near D gates) – also charges €15 for a 1-hour shower cabin (2 available). Or book a room which all have monsoon showers, 4 hour stays possible. Sheraton Hotel, a short walk across from the Schiphol arrivals hall/train station. A Fitness & Spa day pass costs €30 – this includes access to a gym, sauna, rainforest showers, steam room and wellness area. Valid 0600-2200, buy at the hotel reception. A good option for arriving passengers. Book a room at the CitizenM hotel, about 5 minutes walk from the arrivals hall/train station. We have looked at all available Amsterdam Schiphol Airport lounges. We would hope that in the near future Schiphol will expand its current lounge capacity and offer travellers more choice.